In 2018 the Second Chance Group raised enough money from the sale to fund fours awards. That is four Wellington women benefiting from the generous contribution of those that volunteered clothes, time and energy to this annual event. 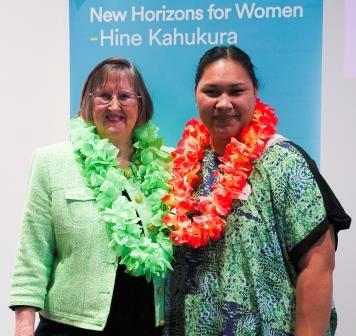 Since 2005, Sharon Cavanagh and the other women in the Second Chance Group have been putting together an annual sale of second-hand clothes in order to raise money for the New Horizons for Women Trust: Hine Kahukura. The money raised is targeted to women who are living and studying in the greater Wellington region. “There are a lot of women who, for a variety of reasons, whether it be their social circumstances or their financial circumstances, really struggle to continue,” Cavanagh said. 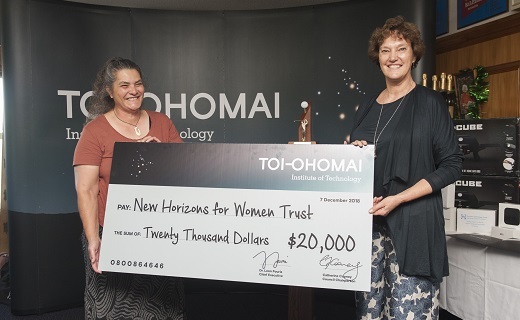 The New Horizons for Women Trust: Hine Kahukura “don’t set any criteria” for how the money should be used. It can be used to repair a car, pay for child care, buy a computer so you can study at home or buy food for the family,what ever it takes to support her while studying”. In addition to contributing money to the trust, the Second Chance Group attend the ceremony to present the awards financed by their fundraising to their recipients. The fundraiser made $3000 in its first year. In recent years at least $10,000 worth of clothes have been sold, and this year it raised a whopping $17,000. “Whilst there’s expertise and lots of skills within the group, there’s many people that contribute to the sale,” Cavanagh said. She attributed their success to the quality of the clothes they receive, to the help of local schools and businesses that provide drop-off points for donations, and to the company Cool Moves which transports their stock. Let us hope this group of volunteers can do it again for 2019.